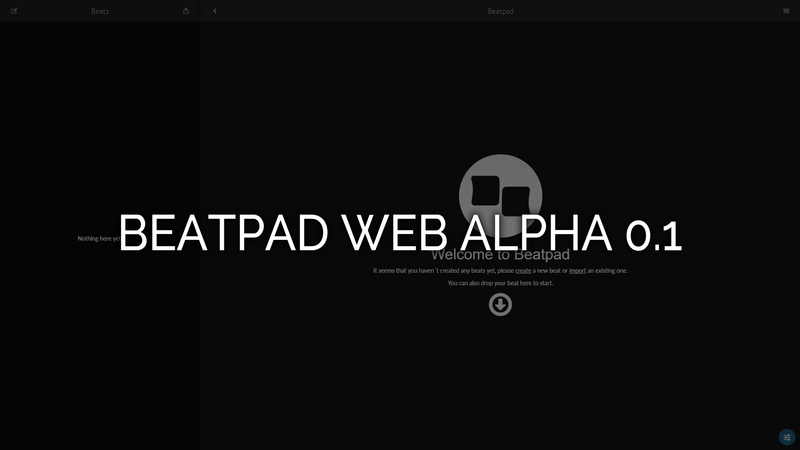 Beatpad Web Alpha is now availabe. It features the same old Beatpad functionalities, such as beat color change. But it improves on what was already there. Editing Beats has never been easier than now! Also we have a new feature and it is looping/1-hit perfected Beat playing that will guarantee you having the best experience with Beatpad so far. Please remember this is an Alpha version and it will have errors. Even though it has been pre-tested before release to guarantee that you can enjoy it how its ment to be. 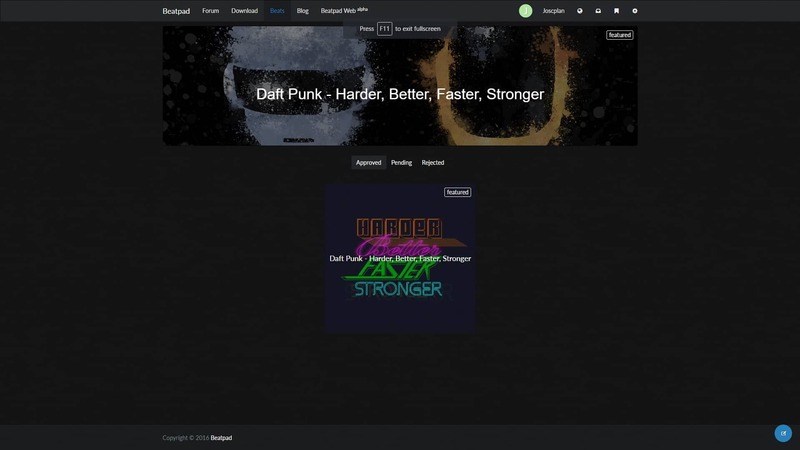 Along with Beatpad Alpha, Beats page has been revamped with a new and much better design, allowing you to submit Beats easier than it has never been possible before. Just drag, drop and upload. As simple as that. It features a "likes" system that will enable you to keep track on your favorite Beats. 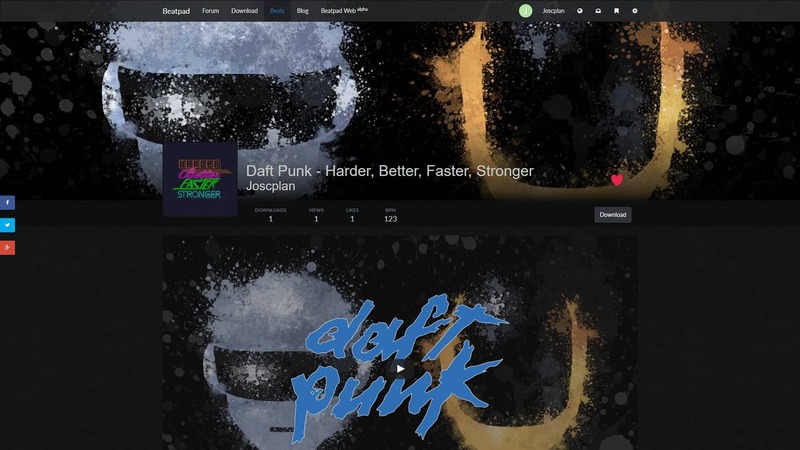 The new Beats page will also have "Featured Beats". Those beats that are on the rise and deserve a download will be featured so that you can get a chance to discover the best Beats out there. Beats will continue with the old fashion pending/approved with now the newly added "rejected". This will allow everyone to browse through all the available Beats easier. The criteria used on the approval of each Beat will be updated on an upcoming FAQ page which will include all the information you need to know. You now may be wondering about the downloadable version of Beatpad. Sadly, it won't be maintained anymore even though the download of it will still be available, as well as the earlier versions. But don't fear as Beatpad 1.0 is on its way and will be released soon. Featuring everything Beatpad Web offers and more! The site has been reworked to fix some issues. All the data has been reset, that means that you will have to register again, it is a simple process and it won't take you long. For those of you wanting to recover something from the old site, we will be opening a temporary backup site where you will be able to retrieve anything important from there, do it as fast as possible as it will be shut down soon and we will not be responsible for any data lost with it. As of now Beatpad Web Alpha is on closed testing, only those with "Backer" status will be able to access it as well as downloading/posting new Beats. The estimated date for the Open Beta tests is June 19th, note this may vary and it may be release sooner or later. To get your Backer status please follow this link. Note Beatpad is a self-maintained project and we need the money to keep running the server, without it we can't afford on our own the costs of it. All the raised money will go towards improving the project, nothing else. Thats it for now, keep tuned for more updates on the Alpha testing phase. Cheers!